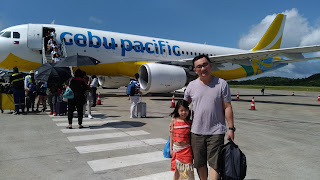 After having a disappointing lunch at Mantaro Original Peruvian Cuisine, we went to Capitol Commons for dinner and tried Buffalo Wild Wings in Estancia Mall for the first time. We ordered Hand-Spun Wings in medium size or approximately 15 pieces. The Buffalo wings are spun fresh in your choice of sauce or dry seasoning and served with celery, carrots, bleu cheese and ranch dressing. We tried 2 Signature Sauces (Honey Mustard & Carribean Jerk) and 1 Dry Seasoning (Buffalo). 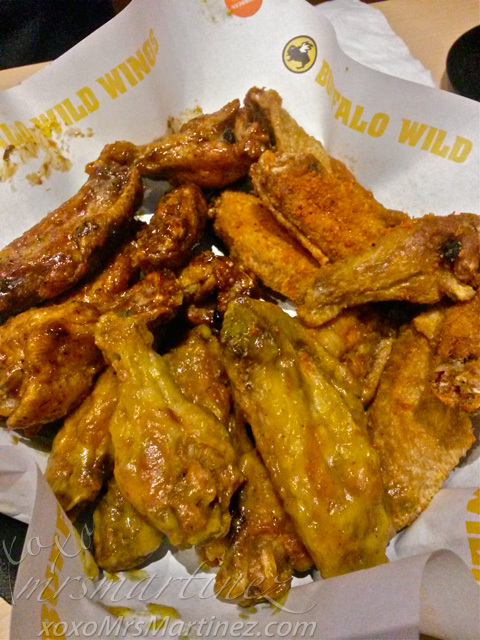 Honey Mustard is a sweet and tangy sauce while the Buffalo has the classic heat and soothing buttery flavor. Surprisingly, Carribean Jerk turned out to be our favorite that night. 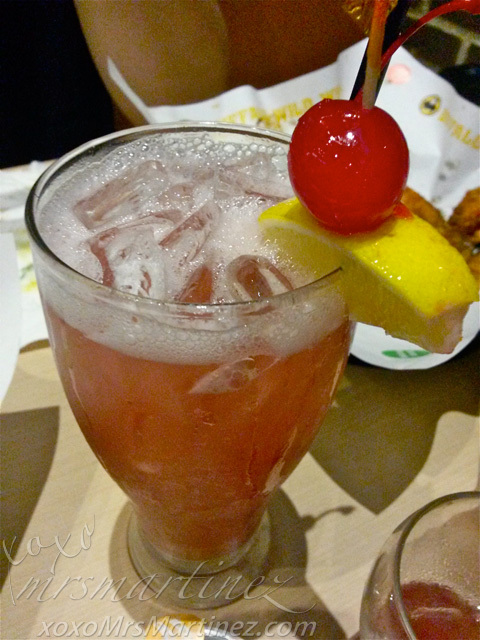 It's a mix of red pepper and island spices, very exotic to taste! Also available in Snack (5 pieces) Php 295, Small (10pieces) Php 495, and Large (20 pieces) Php 895. 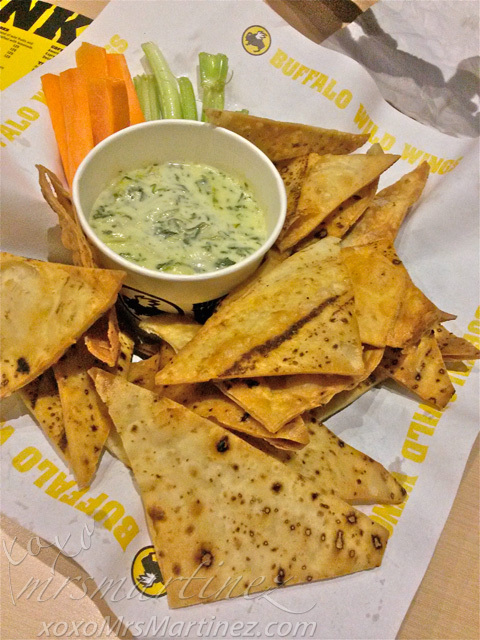 Spinach Artichoke Dip is served with warm and toasted triangle-shaped pita, carrots and celery. I am used to eating pita that is warm and soft, this is something new to try! We ordered a Kid's Meal for my daughter. Naked Tenders are actually just slices of chicken, 3 to be exact. The taste was bland so you need to dip it with the accompanying sauce, Sweet BBQ. 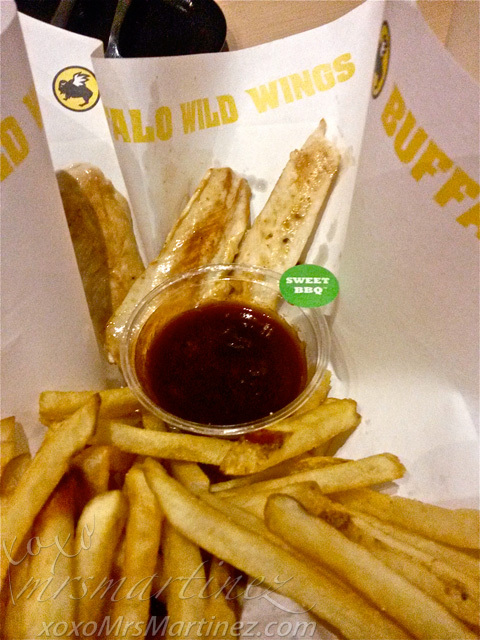 But even with the sauce, my daughter still didn't like the taste : ( Good thing, there are fries on the side. Oh, DH ordered a tall (650mL) Paulener Original Dunkel (not in the photo). 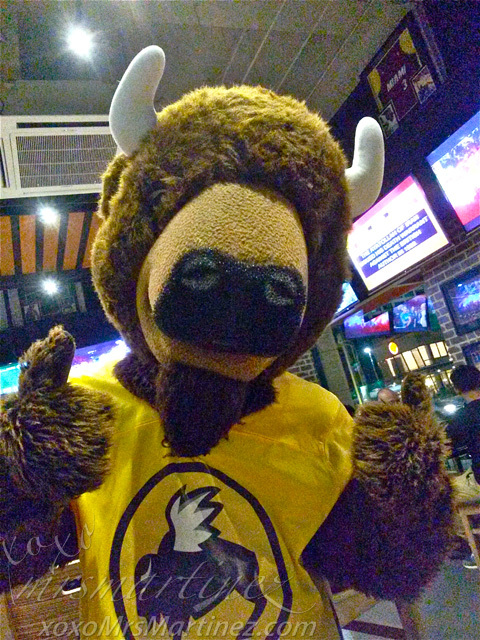 Before we left, the official mascot of Buffalo Wild Wings showed up. It's Blazin' Bill! Everyone was delighted to see it. We took photos when it dropped by our table. We had a fun night and we will surely be back!